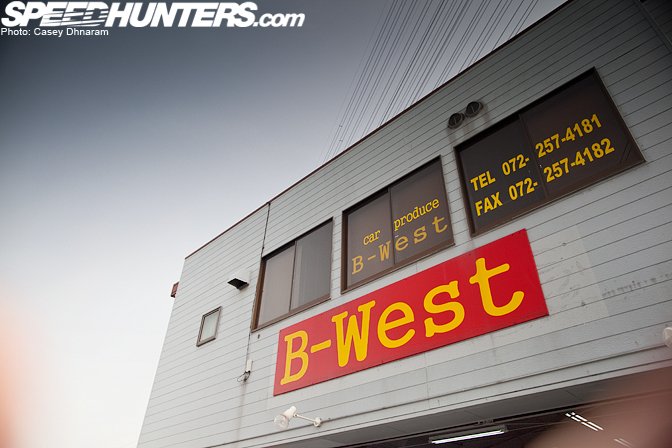 B-West is a Japanese garage owned and run by Kazuya Bai alongside his wife Keiko. In case you’re not familiar with Bai, he is a strong competitor in the D1 Grand Prix – Street Legal division and competes in his Origin RPS13. 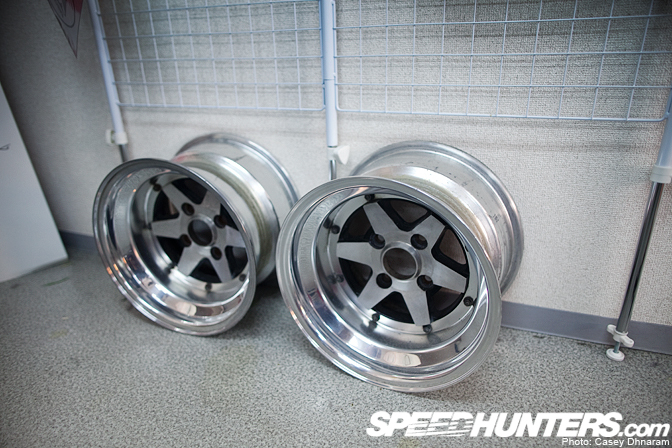 The shop itself is located in Umeda surrounded by two other garages we’ve covered recently, Supermade and Looking. Bai was more than happy to have our K-Tours visit his garage to see what goes on behind closed doors. Out front was this Trueno receiving a wash.
Just as we arrived I noticed Bai and his wife were talking to Akemi and Jesse Streeter (you may remember our recent feature on his clean S13). The building is made up of two stories; the bottom floor is where all the magic happens. Here, parts literally fill up every bit of space, whether it be organised on the shelves or spread across the floor. On the left you’ll spot a Huffy Slider wedged beneath some spare panels. 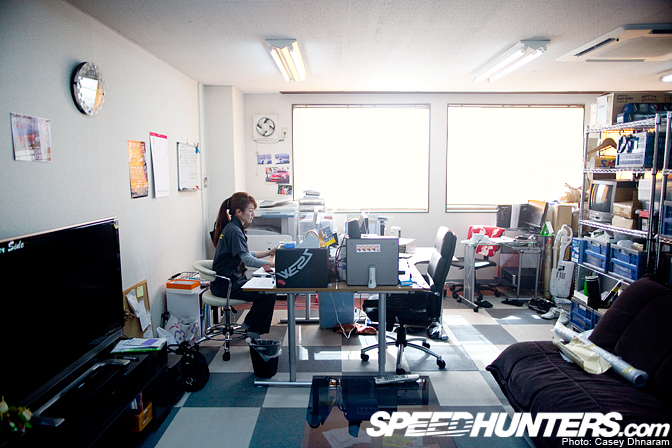 It’s so incredible to see such a small workspace area and the crazy cars they’re able to produce in this confined garage. See what I mean? 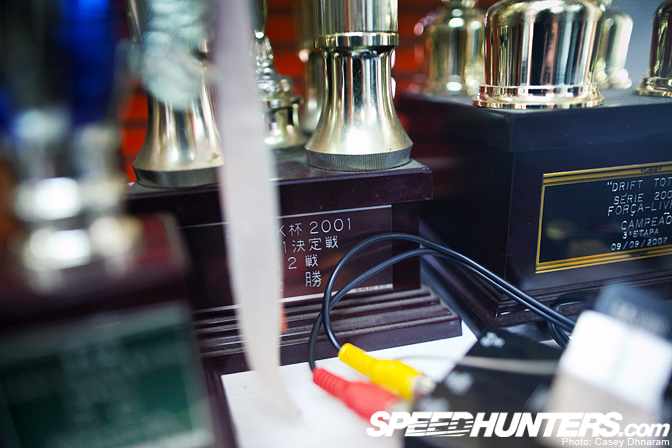 This is Kazuya Bai’s D1-Grand Prix 180SX. 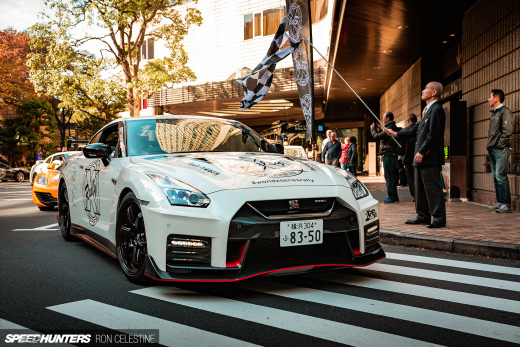 It’s not only the exterior that is amazing, but underneath the hood is a work of art too. 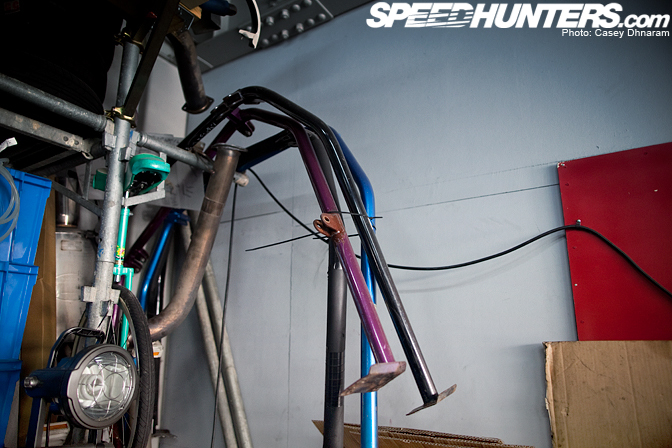 The SR20DET produces a healthy 600whp but Bai will be pulling the motor out shortly to cure a few hiccups. 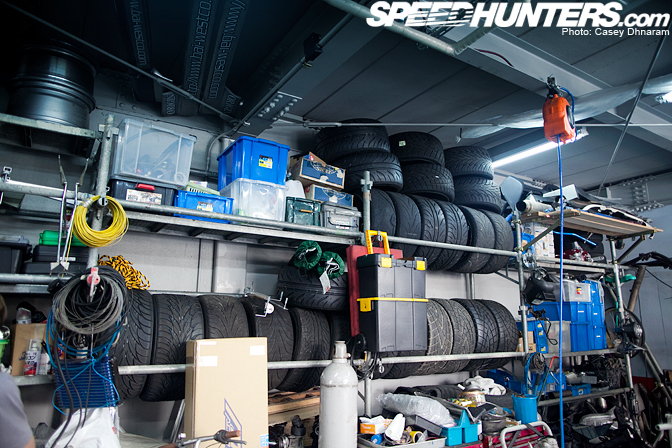 As I stated before, space is limited in Japan, especially in garages like these. Have a look for yourself at how much room is to spare when the car is parked inside. 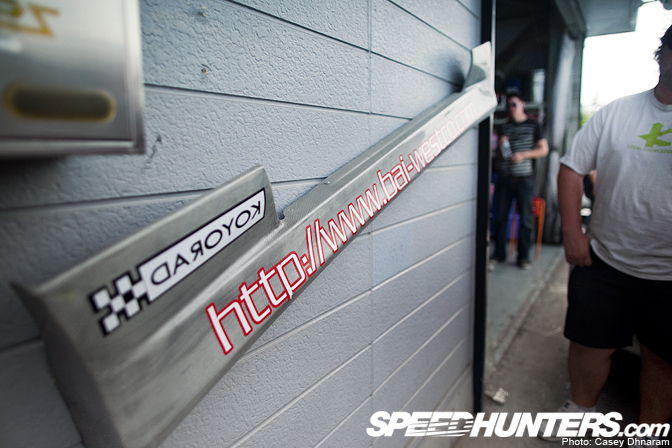 …along with all the previous aero the cars have worn in previous drift battles. There were also quite a few gearboxes lying around. Before we took a look upstairs Bai took a minute to give us some more information on himself and his shop. 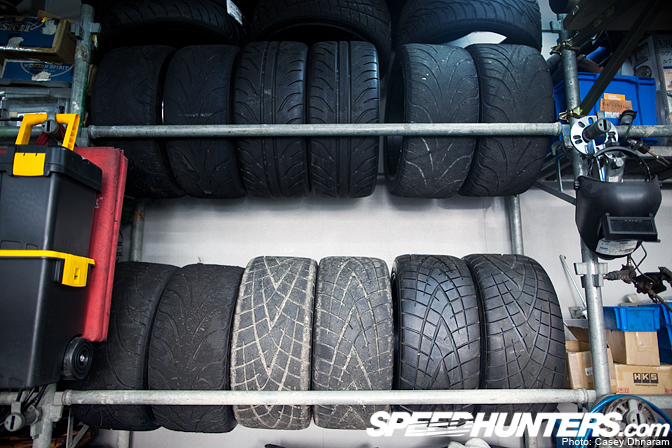 As I took one last look around the workshop I had to take a photo of the stacked up Toyo R1Rs. One of the boys on tour ended up getting to ride shotgun with Bai at Meihan and couldn’t believe the acceleration of the car. 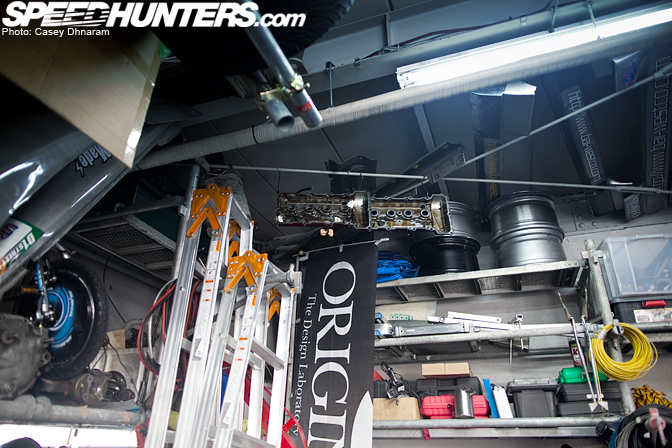 Plenty of spare parts everywhere, from exhausts, gearboxes and even roll cages. 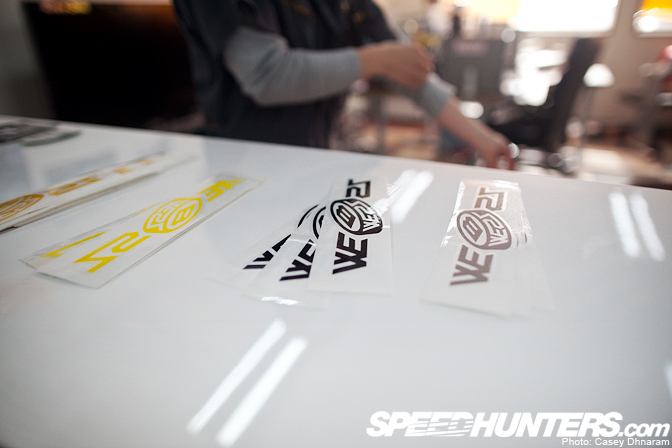 …Who had a huge variety of stickers for us, how kind of them! On the walk in we were not only greeted by Bai’s wife, but this deep pair of Longchamp XR4s, a good door stopper maybe? Here is the office where I’m sure countless hours are spent day and night. Visiting another country and meeting famous people isn’t a thing you come across everyday. 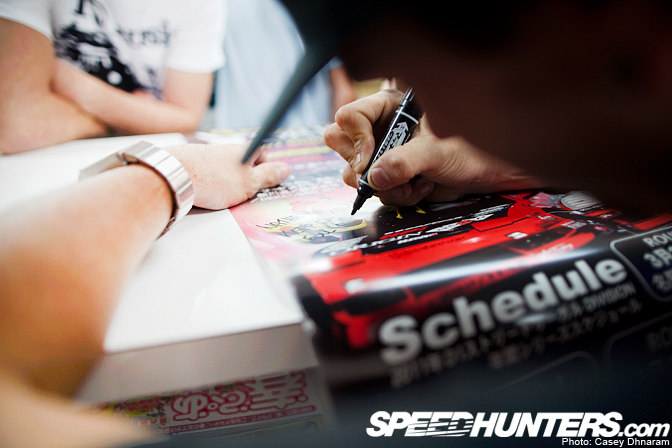 Stickers weren’t the only thing that we received from Bai, but huge Origin D1-GP posters which he signed individually. …Some even dating back over a decade ago. 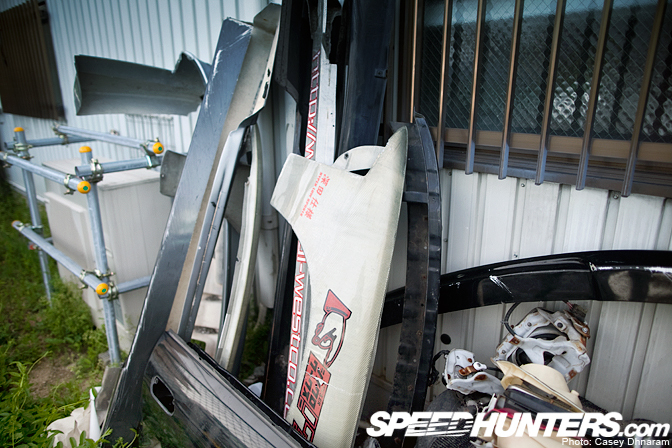 We spotted this hood stored away in the back of the office. 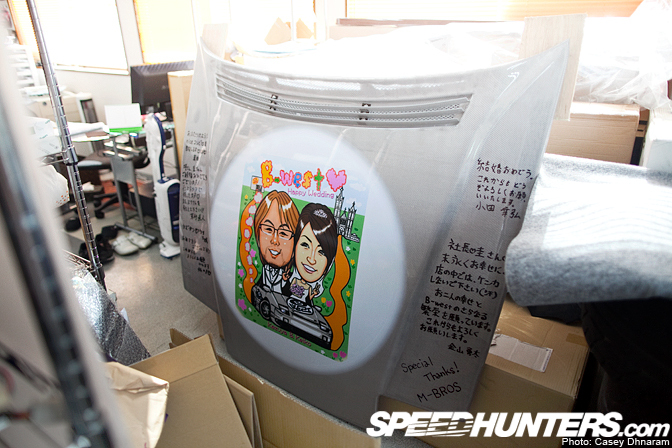 Kuroi Takamasa from M-Bros organised this for their wedding present. How awesome is that! 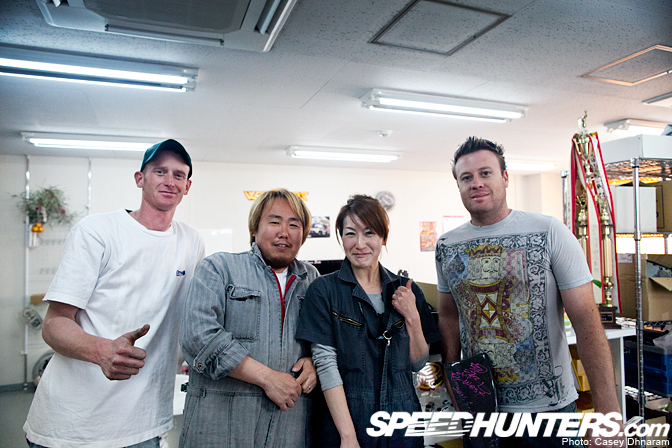 Finally, here is a shot of Shane Bingham, Kazuya Bai, Keiko and Erin Sykes. I’d like to personally thank Bai and his wife for giving us a tour of what is now his life, it was definitely a big dose of inspiration. What kind of kit does bai have on his 180sx? 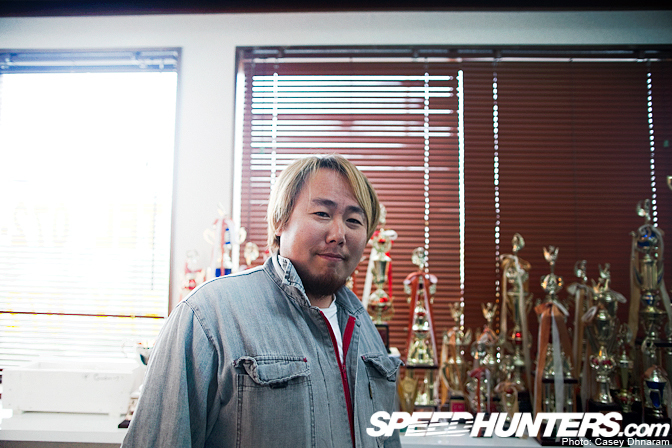 hey is that chunky bai aka drifter xl that used to be in super street back in the day? Yea that is Chunky Bai. I havent seen or heard anything about him in years. 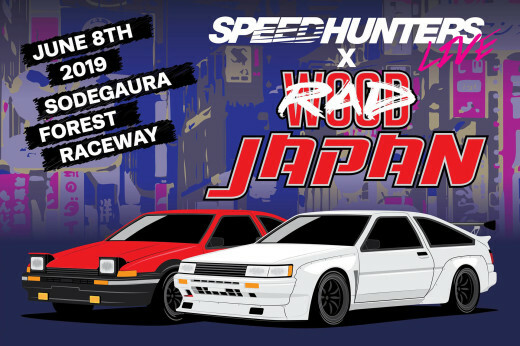 I saw him and the Signal drift team years ago at Mosport just outside of Toronto back in like 2004 or 2005 when drifting in north america was pretty much unknown. "stacked up Toyo R1Rs."??? Theres only 4 R1Rs there out of like 15 tyres LOL how is there a stack of R1Rs? jason, that's origin's new racing line. dang chunky bai ain't so chunky any more!!! tinker was always one of the raddest street drift teams.